A quirk in how Global Positioning System signals are time-stamped risks messing up devices’ data from 6 April. Researchers worldwide are racing to get ahead of a bug in the US Global Positioning System (GPS) that could cause data loggers, including thousands of scientific instruments, to malfunction starting on 6 April. The glitch, known as the ‘﻿week number rollover’﻿, could trigger GPS receivers — which enable devices used throughout research to keep highly accurate time — to reset their clocks and spit out corrupted data. Scientists in fields from seismology to particle physics are checking whether their instruments — which might be portable, or anchored in bedrock or polar ice — are susceptible. For those that are, researchers are updating them to pre-empt the issue, using instructions from manufacturers. The issue affects many scientific instruments, such as seismometers, that depend on GPS receivers to time-stamp their data,﻿ as well as global arrays of instruments such as radio-telescope that use GPS time to stay in sync. They do this using time signals from GPS satellites’ ultra-precise atomic clocks. Many consumer devices such as satnavs are immune to the issue because the rollover doesn’t affect positioning accuracy or because new devices have been built to deal with the problem; people can check and update their models on manufacturers’ websites. The glitch arises because of how the satellites broadcast the timestamp. Their signals include a binary ten-digit ‘week number’ in GPS time, which began on 6 January 1980. Receivers use the number to calculate the exact date and time. But 10 digits covers only 1,024 weeks, or 19.7 years. That limit will be reached for the second time at midnight on 6 April universal time, when the week number broadcast by the satellites will roll back to 0 (the first rollover happened in 1999 when there were far fewer GPS receivers in use around the world). Susceptible devices risk reading the 0 as being in the past and could start generating incorrectly timestamped data. The upcoming glitch is likely to mainly affect mostly older GPS receivers or those lacking recent updates to their ‘firmware’ — software programmed into a device’s permanent memory — that ensure devices are not confused by the rollover. Vulnerable GPS receivers won’t necessarily stop working at the stroke of midnight — some may fail in weeks, months or years depending on how they were configured. Instrument manufacturers, such as Nanometrics, Topcon and Güralp, have created web pages where users can check whether their models are vulnerable, and download firmware updates to safeguard their instruments or buy newer models. Instruments that rely on Russia’s GLONASS system, the European Union’s Galileo network or China’s Beidou system won’t be affected by the rollover. The field of geoscience is particularly affected because it uses GPS time extensively. Operators of large instrument networks in the United States, Canada and Germany have been testing and updating affected receivers for months, says Haberland. UNAVCO, a global consortium of 230 universities and research organizations based in Boulder, Colorado, has arrays of GPS instruments deployed globally — including in polar regions — that continually measure Earth’s shape and the motion of its crust. This infrastructure is important to many fields in the Earth and atmospheric sciences. Despite the updates, “some instruments will produce corrupt data that may be lost, or recovered only by tedious data corrections”, says Frederick Blume, a project manager at UNAVCO. 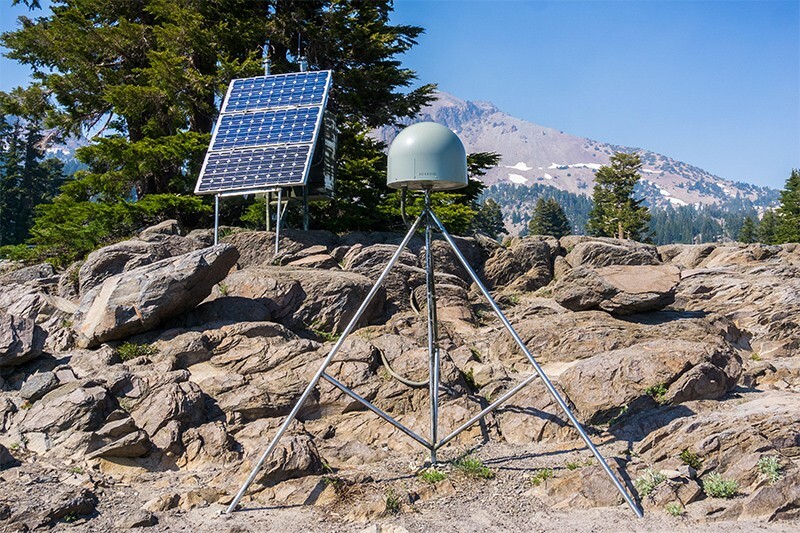 The Canadian Geodetic Survey has updated its receivers’ firmware, but “we will still be on the edge of our seat during the rollover”, says Brian Donahue, a senior geodetic engineer at Natural Resources Canada in Ottawa. GFZ-Potsdam researchers have begun testing their pool of 934 seismic recorders. So far, they have fixed 13 of 22 field recorders dotted around the Alps that require urgent attention, and they will replace or update hundreds of receivers expected to be affected before the end of 2022. It’s arduous, says Haberland, because many recorders can’t be updated online and must be brought back to the lab. The organization is also one of several trying to raise awareness of the rollover to individual researchers, Haberland adds. Meanwhile, Japan’s Tokai to Kamioka (T2K) experiment — which studies neutrino particles by firing them hundreds of kilometres — uses GPS receivers to synchronize its particle beams and distant detectors. T2K is well prepared for the 6 April rollover, says Hans Berns, an engineer at the University of California at Davis who helped to design T2K’s synchronization process. In the 1999 rollover, some high-end devices failed, but a bunch of low-cost back-up receivers saved the day, he recalls. The expensive ones “started spitting out funky date numbers”, he says. Stay up to date with what matters in science and why, handpicked from Nature and other publications worldwide. Could the United Kingdom really build its own global satnav system?